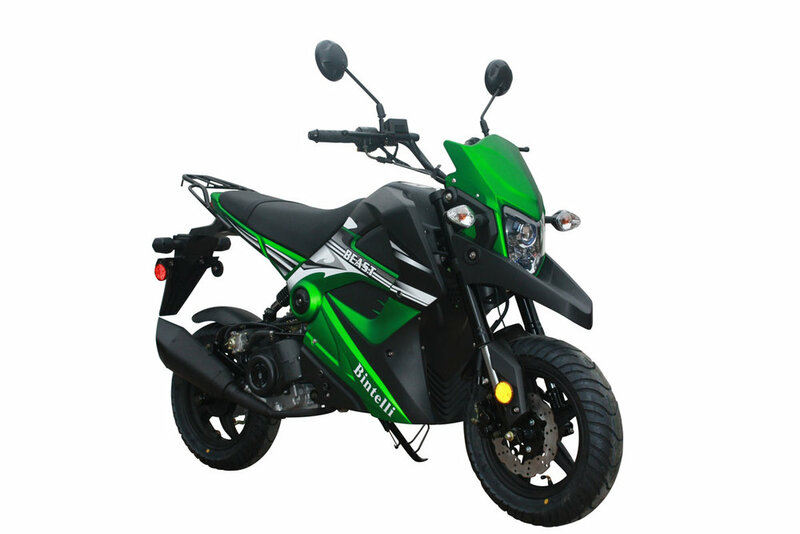 Our mission is to provide high quality 49cc Scooters, 150cc+ Scooters, Electric Bicycles, ATVs, UTVs, Electric Street Legal Carts, and Kids ATVs at a price anyone can afford. As a part of that we have a Full Parts and Service Center open year round to meet your needs. Ecofun Motorsports specializes in quality affordable scooters, mopeds, youth atvs, electric bicycles, youth snowmobiles, ATVs and Side by Sides for the St. Paul and Minneapolis area. All of our units come fully assembled, mechanic tested, and we have great No interest financing options available on all of our products. We have a full service department and parts department to help you with your needs after the purchase. We are proud to offer the Twin Cities the Bintelli lineup of scooters which is the highest quality scooter coming out of China. They come with a 2 year limited warranty that we cover right here in our full service shop. We have been a nationwide top 3 Bintelli dealer for the last 7 years and are proud to represent their lineup. We are excited to offer the Lance scooter lineup which is an incredible line of scooters made by SYM out of Taiwan. They feature a full 2 year warranty and with their ceramic coated engines offer one of the most reliable rides in the scooter industry. Their 4 stroke engines are designed to go 60,000 miles before you need to rebuild the engine with the proper maintenance. For those who enjoy the 2 stroke engines we carry a very good lineup made by Adly out of Taiwan. They will give you the quicker acceleration and faster handling that makes a 2 stroke scooter fun to ride…just remember to add the oil when the light comes on and they will be with you for years to come. When it comes to electric bikes no one in Minnesota compares with the lineup that we have on our floor. With over 60 ebikes in stock year round ready to ride home, no other bicycle store compares. Our Electric Bicycle lineup starts with the affordable Bintelli E1 electric bike on sale for only $899 and ends with our Smartmotion Pacer GT at $3999. We have many models in between included an electric trike for only $1799. No need to pay those ridiculous bicycle store prices and have people give you the evil eye as you shop for an e-bike at a “regular” bike store; come in here where we sell fun and the only type of bikes our employees ride are electric! 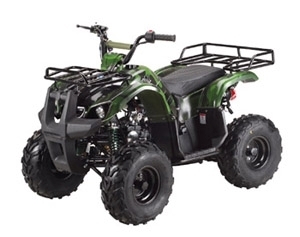 Bring your children in to look at our fabulous kids atv lineups which include atvs that are gas and electric. We carry high quality brands such as Tao Tao, Kayo, and Bintelli. We have a very cool Jeep 125cc and 125cc Go Kart that kids absolutely love. Protect your child with our full line of ATV / Dirt Bike/ Snowmobile helmets that start at only $50 as well as full racing uniforms so they can pretend to race their new ride just like the professional riders. If your children like to have fun, then we are the place to go. Our service department works on many Chinese brands of scooters and atvs. Some of the brands that we work on are Roketa, Sunl, CF moto, Peace, Tank, Yamaha, Honda, NST, Ice Bear, Genuine, Maddog, Chicago Scooter Company, Wolf Brand, Puma, Tao Tao, Boom, and Coolster. If you have any questions at all feel free to email us at sales@ecofunmotorsports.com or call us at 612-321-8867. "We Love to bring SMILES to the faces of all our customers"